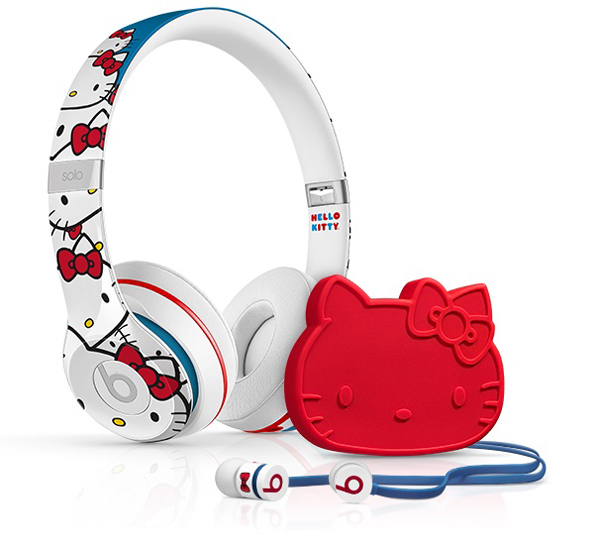 Man up and have some balls with the Hello Kitty Headphones from Beats by Dr. Dre. Because with this being Hello Kitty’s 40th anniversary, your balls might just be the only thing out there which haven’t had the the HK license slapped on them yet. Yet. But fear not, with Hello Kitty being plastered across even more crap, you can finally get out there into the trenches of a man’s world knowing that you can listen to the illest, bassiest, dirtiest beats that the Solo 2 headphones can handle, all the while being able to match your pink pencil set and rubber stamp collection. Get down with the kitty for $250. Features include voice-remote, foldable phones and adorable whiskers with the cutest kitten ever.